Crystal is a 32 year old lady who came to my clinic for help while trying to conceive. She had been trying to fall pregnant for the previous 15 months. Crystal had been seeing an infertility specialist for the previous 6 months. She wanted to take a break from infertility treatment because of the expense and stress it caused her. Crystal wondered if there were health problems or nutrient deficiencies standing in the way of her falling pregnant and that’s why she came to see me. Crystal had irregular menstrual periods. Sometimes she got a period every month, while other times she went two or three months without menstruating. This irregular pattern began when she was 14 years old. Crystal also had severe acne at that time, and for those reasons she was placed on the contraceptive pill. It gave her a regular monthly bleed, even though it wasn’t an actual period, and it cleared her acne quite well because the pill blocks the body’s own hormone production. Crystal had remained on the contraceptive pill until she was 30 years old. Not being able to fall pregnant was heartbreaking for Crystal. She actually felt quite angry about the fact she was on the pill for so many years and it didn’t resolve her hormone problems. It just put a blanket over them and they came right back once she stopped taking it. The acne she experienced in adolescence came back, but now it was more a nuisance than a huge problem in her life. As a starting point, the fertility specialist gave Crystal the drug called letrozole. It is an aromatase inhibitor that is used in postmenopausal women with breast cancer, where it reduces estrogen production in the body. The same drug is given to women with polycystic ovarian syndrome (PCOS) to encourage them to ovulate. Crystal hadn’t been diagnosed with PCOS, but she had quite a few of the symptoms. There are mild cases of PCOS where a woman doesn’t experience all the classic symptoms, but it can still significantly impair fertility. The vast majority of women with PCOS are insulin resistant. It is elevated blood levels of insulin that inhibit ovulation and cause the ovaries to produce excessive levels of male hormones. The male hormones and the insulin can promote acne. Weight gain is another typical symptom of insulin resistance and PCOS and Crystal was around 25 pounds overweight. She knew about the benefits of a ketogenic diet for insulin resistance but found it difficult to stick to because her job involved a lot of travel. 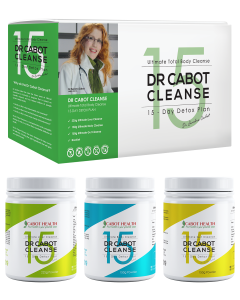 Since Crystal was currently taking a break from infertility treatment, this was an ideal time to give her body a thorough cleanse. I put her on the 15 Day Cleanse, which is designed to cleanse the liver, heal the gut and make the body more alkaline. The cleanse comes with an easy to follow healthy eating plan with recipes and snack ideas. Crystal had been feeling depressed recently and her diet had been all over the place. Following a 15 day plan would help motivate her to stick to a healthy diet. The stress of trying to conceive had impaired Crystal’s stress coping mechanisms. She felt teary and anxious much of the time and her sleep quality had been compromised. 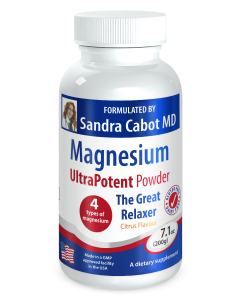 I asked her to take 1 teaspoon of Magnesium Ultra Potent powder with dinner each evening. 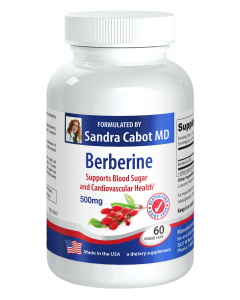 Berberine is a natural plant extract with the ability to reverse insulin resistance. This was important for Crystal because it should help her achieve a more regular menstrual cycle and help her lose some body fat. I asked her to take 2 capsules twice daily with meals. Exercise is a powerful remedy for reversing insulin resistance and improving mental health. Crystal sat all day at work and she regularly flew interstate for her job. Her body didn’t get much movement. Exercise can have a calming effect and improve sleep quality. Crystal’s vitamin D level was too low. Such a common finding among my patients. This can impair fertility and worsen insulin resistance. I asked Crystal to take one vitamin D3 capsule with breakfast each day. I plan to see Crystal for another appointment in 6 weeks. For more information, see the book Infertility, the Hidden Causes.